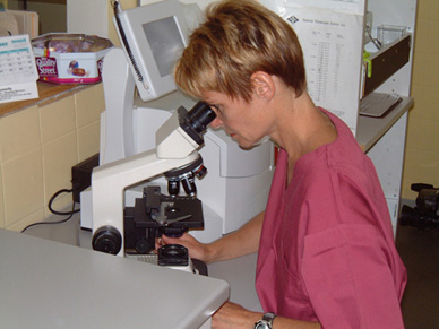 We can perform vaginal cytology on female dogs to help determine the optimum time to breed and enhance the success of pregnancy. To do so, we take a swab of the vaginal cells and analyze them under a microscope. Usually more than one swab is required. Additional tests, including a thyroid analysis, should be performed on your dog before her estrus cycle. These tests can rule out any potential problems or alert you to issues that need to be addressed before breeding.